GRIS promises no frustration or death, just a stunning and emotional platformer. GRIS, the gorgeous puzzle platformer from Devolver Digital and Nomada Studio, is coming to Nintendo Switch, PC and Mac on December 13th. GRIS is a game “Free of danger, frustration or death” where you guide a young woman (named Gris) through a visually stunning world filled with puzzles, platforming segments and optional skill-based challenges. The game’s story finds Gris struggling to come to terms with a painful experience from her past. Her journey through her own sorrow is manifested in her dress which grants her new abilities as the player progresses through the darkness. 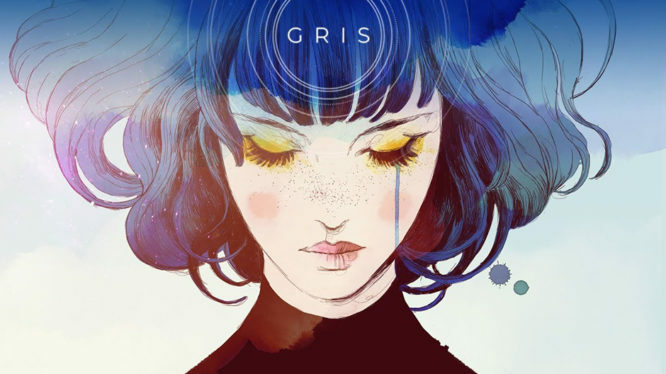 A press release for the game promises that “As the story unfolds, Gris will grow emotionally and see her world in a different way, revealing new paths to explore using her new abilities,” which makes it sound as if the game may at least flirt with some Metroidvania-like exploration. The game’s striking and expressive art style turned a lot of heads when Devolver Digital & Nomada Studio announced it earlier this year, but thankfully the wait is almost over. GRIS is the debut title from Barcelona based Nomada Studio and releases for Nintendo Switch, PC, and Mac on December 13th 2018 – priced at £13.49.